Pros: From the administration's point of view. I like that the entire construction phase of a project is captured in one place; including contacts, liens (if any), buyout, letters, just to name a few. When closing out a project, there is no longer the need to use up space on your server storing information for future reference; it will forever be accessible via RedTeam. Customer service is great and friendly. I absolutely love that my company uses RedTeam, it makes the job faster. No need to spend time creating cover sheets like transmittals, submittal labels, RFI coversheets... these forms will automatically create themselves with the information and contacts on the project. It is a great tool to have and a life changer. No more unprofessional looking forms, or in the other hand, no more spending hours making all forms uniform and looking great every time you have to use them. Cons: Once you build up the vendor database, and it starts becoming massive... it will take what seems forever to load, and search. When editing a vendor profile, and you need to edit another vendor profile, you'll have to wait for the list to load again every time you have to open a profile. Another one is that the contact list on each project preloads itself, instead of the admin picking the names to add to the list; the admin has to spend quite some time "removing" the names you don't want to the list. Last time I created a contact list, it took me 30 minutes just removing over 130 contacts, and adding ones that weren't there. And every time there is a new hire, prepare to revisit the contact list for EVERY job you don't want this contact to show. Recommendations to other buyers: Be open minded, be open to change. Change can be good, and you won't regret making this change to switch to ReadTeam. I promise. At first it can seem hard, but once you get the hang of it (only about 1 full week for me) you'll never want to go back to the old way of doing things. Pros: We are a mid-size commercial construction general contractor that uses this software. We used to use Microsoft project and this is a HUGE step up from it. I know you can use the software for estimating, bidding, and a lot of other features but we strictly use it for scheduling, submittals, and closeouts. We might use it for estimating and bidding later in the future but for now scheduling works well for us on it. You can upload all of the plans to the software in the cloud and you can also include all of the RFIs, PCRs, punch lists etc. If you are using it to manage submittals it is kind of like a Newforma for the GC end of things. Scheduling is very convenient and you can add all relevant parties to view the schedule. This is nice because everybody can see in real time if we have a delay or scheduling conflict. There are smartphone apps for this as well. Customer support is excellent on this software if you have any questions or run into any problems. 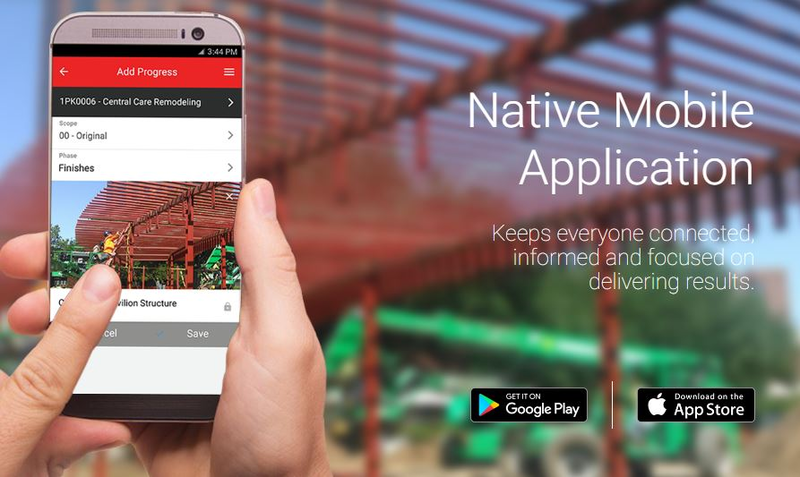 I would try it out if you are needing a good construction management software. Cons: The estimating portion of the software seemed a little buggy and difficult to understand. I'm sure it is great if you get it going but we just do not use this feature on it. Pros: Integrates with QuickBooks Online and PlanGrid. Manages the development process from estimating to invoicing. Overall: We are a small company and were looking for a back office solution to help us manage the growth we were experiencing. We were frustrated with duplicating our effort and the time we wasted tracking insurance expirations, releases, duplicate invoices, etc. Most of the solutions that we found provided features that we didn't need since we use QuickBooks Online for accounting and didn't want a product that included managing that aspect of our business. I happen to come across a link to RedTeam on the QBO site and contacted them for a demonstration. It was very obvious right away that RedTeam was exactly the solution we were looking for. We could not be more pleased with our decision to go with RT. Not only do the product features fit our needs, the service and support we have received has been outstanding. This company puts forth a lot of effort providing the user with tools to get up to speed quickly and their Help Center is the best I have seen. I cannot say enough good things about RedTeam and their product and would definitely recommend it to others searching for this type of solution. Pros: It has an easy to understand interface. This has allowed us to go paperless in our accounting process. Cons: It is a new product that changes with updates. Although the updates are usually for the better it takes a bit of time to acclimate to the changes. Recommendations to other buyers: You really have to spend time on the front end set-up and pay careful attention to the trainings to integrate this product correctly. However if you do this, then it will pay off immensely in your day to day operation. Comments: We have been using Red Team for the past 5 years, we switched from another company that had more bells and whistles however the learning curve was well over a month for new users. Its critical in our industry that Project Managers can get up to speed and move forward with managing their projects quickly. Red Team is not only a user friendly system , it also has an extremely pro-active support team that are always available. In addition, they have sat with us on numerous occasions and listened to ideas of enhancement and have worked closely with us on implementation. We recommend Red Team to any company trying to get projects managed in a professional manner with minimal learning time and at a reasonable cost. Pros: Customer service is great. They are very friendly and want to help. If they don't know the answer they will find it for you. Cons: Harder for some to use that are not very knowledgeable on computers. Comments: Having set up several other management software systems, I was used to poor customer service upon signing the contract. Redteam's staff changed that opinion immediately and now two years in, continue to respond in less than 24 hours, have continued to improve their online issues tracking, have great webinars for learning features, and continue to improve every aspect of their product. They were hands on in the implementation, and always followed through to make sure we were pointed in the right direction or using features properly if asked. I'd love to thank all of their staff by name, but that might take too long. Other things I loved were that there has been no staff turn over, which with some of the other vendors I deal with, has been a major issue. Once implemented, and trained your staff will love this product. Pros: Everything is in one place. Cons: Scrolling down on two side bars to see everything I may need. Overall: Although I don't use all of the available features, what I do use is good. Because of constantly updating features, when I go back into a component I don't use that often, it takes some time to figure it out. I enjoy the weekly webinars and their availability in the Help feature. Pros: Daily reports, ability to get lien releases and send RFI's. Overall: We appreciate the in-kind donation to utilize your software. 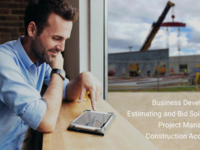 It allows us to keep a careful watch on our budget, collect our subcontractor's credentials and overall streamline the construction paperwork! Having the use of Red Team has helped our housing ministry build capacity so we can serve more families with affordable housing. Thank YOU! Recommendations to other buyers: Looking forward to the take-off ability. Comments: Give RedTeam some serious thought as they will be the next up and coming software to compete against the big software companies. Pros: Always developing improvements to the software. The customer service is exceptional and always respond quickly. The platform has a lot of functionalities that really start to benefit the users once you spend some time working in RedTeam. I would highly recommend RedTeam to General Contractors such as my self. Cons: Support and product development. Overall: I've enjoyed the software for the most part. However, due to the complexities that come with construction project management and the different nuances of it, customizing a workflow in a PM software is critical. That has been the hard part with Redteam so far. The tutorials are lacking and some of the answers we get are just too "canned" to be much good. There are also some functions of the application that just don't work that well and we've been told for about 6 months now that they are working on it. We've seen no improvement in some of the areas. Other areas, we have seen improvements and development, though, so it's not like it's all bad. I think the platform is good, but getting it worked into a business workflow can be difficult. It has been for us anyways. Overall: I like using redteam but their its hard when it does not allow you to log in because their are others user already. If their would be a way to remove that restrictions that would be great. Pros: I have used RedTeam at my job for about 5 months now. It is designed for contractors by contractors which gives it an edge some competitors don't seem to have. 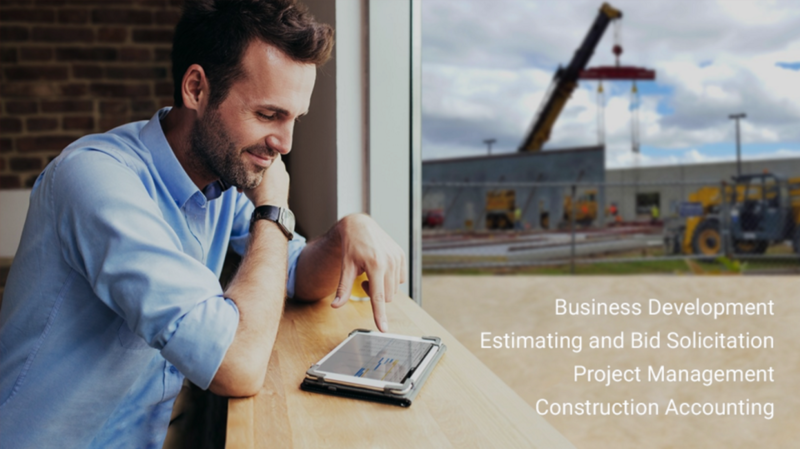 It's easy to connect from anywhere with any device from pre construction to post construction including estimating, bidding, scheduling, etc. It has streamlined a lot of our day to day work. Cons: Sometimes the estimating portion can be a little glitchy. Also updates can take a while to get used to as at times they have made drastic updates to the interface. For users who don't like change, I could see them struggling. Overall: Overall I have had a great experience with RedTeam. The support was excellent the one time I used it and I didn't feel rushed or like I was taking up too much time. You can tell that they want this software to be the best that it can be and I appreciate their continued investment in making it better. Thank you for your feedback, we pride ourselves in making sure all our clients receive the most benefit from leveraging RedTeam's capabilities! Cons: Most of what we least liked has been repaired, such as the uploading capabilities in the Plan Room. These have been greatly improved. 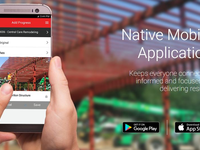 Overall: We have used RedTeam for approximately two years and have enjoyed its ease of use and the app, which makes using it in the field a snap. Recommendations to other buyers: It is easy to use....don't overthink it! Overall: RedTeam is very good for use on plans, work orders, change orders. Anytime we need assistance a RedTeam representative is there to help us. We hope the process of "steps" minimize and freezing of the software. The product is the one stop shop for project management. There is no other product on the market. Pros: It covers from identifying an opportunity, through the bidding process, award, construction, then to CO. Thank you for the kind words Clifford, we hear everyday how much we are helping contractors and it never gets old! NuJak is a valued customer and we'll make sure that you and your team always feel like a top priority, something we strive for with all of our clients. Overall: Productive in the sense that you can use the system in all aspects in the construction management field required documentation. Budget, Bid Invites, Contracts, Schedule, Payments, etc. Cost effective... A lot of bang for your buck. Recommendations to other buyers: Use it, Use it, and Use it more... the more you get into the software the more useful/productive it becomes. Pros: This software incorporates alot of features in one unit. Cons: The file database can become too large and will take forever to load. customer service is beyond measure! Comments: This software company actually seems to care about your company. Our company has gone through countless different softwares and with all of them their customer service was horrible. Trying to fix an issue with most of them was like pulling teeth. Not with RedTeam though. You can basically look at them as one of your employees. Pros: The best thing about this software is how user friendly it is and if there is anything you cant figure out there is always either a video on how to do it, an article to read about it, or someone who you can schedule a one on one with to have them walk you through it. The customer service is just remarkable! Cons: There is one thing I wish this software and that is dispatching. I believe someone from RedTeam stated that dispatching is on there list of tools to incorporate and if/when that is incorporated I think this software would be perfect! Cons: Not very intuitive, and the instruction was not great, but we figured it out eventually, and it worked good from the point on. Pros: I like the weekly webinars that the company has. I think they are informative and beneficial. Cons: I liked the chat line with support. Support hasn't responded to my last few questions that I have sent them. Overall: Overall I believe that the Redteam Software has been beneficial to our company. We we first started using Redteam software, we had a chat line with Support that helped us get through problems and that is no longer available and my last two or three times sending a question through support, I have not even got a response. Other than that, I am pleased with the software we have purchased for our company. Cons: It is not extremely intuitive. The training is absolutely key. Overall: The training is key to success. We are absolutely thrilled with our purchase after doing a great deal of research and love the customer service. Pros: It's user-friendly, and tech support and training are extremely helpful. Overall: Red Team has put some structure into our operation that was extremely lacking in our day to day, and especially in documentation of job progress. While working for a smaller developer, but with large scale jobs, this software has met our needs. Pros: The staff at Red Team is extremely helpful and knowledgeable on their software. If we have a question, our phone call or e-mail is answered immediately .... very little waiting. Cons: It is difficult to find something negative about the software ... if something doesn't work there is a simple step that we are missing and the support staff walks us through and makes sure we understand the fix. Recommendations to other buyers: Take your time in making a decision, go through the demos, compare the pricing, but don't let pricing be the only thing you utilize to make your decision. Customer service is worth a lot more when you have a question than saving a few dollars on the front end. Also, speak to the actual users of the software, see what they say ... get their feedback. Pros: The capability to adapt to our needs as we focus on multi-property renovations and occasional new build hotel opportunities. Cons: The requirement to input all the cost data before other parties can see it. The problem for us is the initial budget is a an evolving process and sometimes due to Hotel Brand requirements we have to add scope that was not expected early on. It would be nice if we could share the evolving budget with our executive team and hotel managers before we go live on Red Team. Overall: The quality of the software and the technical support is very good. If we were a GC then Red Team would be very good, however we are a hotel management company using this software to track our renovation projects and there are some user issues. The good thing is Red Team support is working with us to improve the user experience and the reports we need which are a bit different than a GC's needs. Recommendations to other buyers: I understand the primary market for Red Team is the GC and not a hotel development/hotel management company looking for a better way to track the renovation process at our all of our hotels. Pros: RedTeam allows us to have our entire document control during construction in one place for any given project. Since RedTeam is also a cloud based system, you can access your project from any device with an internet connection. Cons: Limited interface with accounting functions. Since this is not an accounting program, our accountants must use other software to pay the subcontractors, vendors, and suppliers. Recommendations to other buyers: Use the program, and see how it performs for your work. Offer feedback to the RedTeam engineers to make improvements. Comments: Great technical support. When getting stuck on a particular task, the RedTeam chat is available and 99% of the time can fix the issue. The issue is usually related to "now I know, never understood or saw that before". Lots of webinars and training videos, great help network which we use often while trying to learn the nuances of the software. Pros: Lots of great features to manage projects. Invoicing on standard AIA forms is easy. Great tracking of vendor invoices and payment. Cons: Lots of set up and implementation time, steep learning curve to get things right. Setting up roles and permissions for users was especially challenging. Overall: Have been using RedTeam for approx. 1 year. The features and functionality offered are fantastic. Implementation and training went very smooth. Integration with Quickbooks works very well. Comments: RedTeam's Support Team has been amazing and has helped us along the way with getting the application implemented and also answering any and all questions that we have had. Pros: RedTeam is a complete solution eliminating the need for the support, learning and management of multiple applications. This makes it easier to deploy and use on a daily basis by our entire corporation. Cons: The financial segment does require the use of QuickBooks Online, but it makes up for this through the robust reports and handling of project financials on the RedTeam side. Overall: We have only used Redteam once and it was very helpful & easy to use. It made sending submittals for our project very organized. Cons: A lot of different sets. Overall: Red team has wonderful support staff. Very knowledgeable. And software is perfect software to work with for construction. Recommendations to other buyers: great software to use. Overall: My overall experience with Red Team is a positive one. It is a user-friendly site and it makes our job much easier. Comments: The user interface is very clean and snappy however it is not flexible as in only export options are usually PDF and there is almost no import capability. They system wants you to create a database of cost items from scratch without the ability to import you existing cost codes. When you compare to other systems out there it instantly becomes a hard to run system, the last thing you want is transitioning into a new system and lose around 40-80 hrs on just setting it up. The only accounting system this connects to is QB online, which cause legacy users of QB in shadows. There are no contact import capability, there are no import or export of any data in excel. The system wants you to operate according to its rules, such as issuing a quick PO without building a cost database, writing an formal contract, and building the sub contracts will not work. Look at other systems out there, they may not be as shiny as this system but those system can immediately increase your productivity than this system. Thank you, Sahel, for your candid feedback. We are always looking for ways to make RedTeam better! Your points about import and export were well taken, and RedTeam now supports multiple imports and exports to Excel, including costs items and cost codes. In addition, RedTeam also supports import of job costs, so you can integrate RedTeam with legacy accounting systems such as Sage, Quickbooks, and others. Thank you again and good luck to you and HSC Corp. as you continue to grow your business. 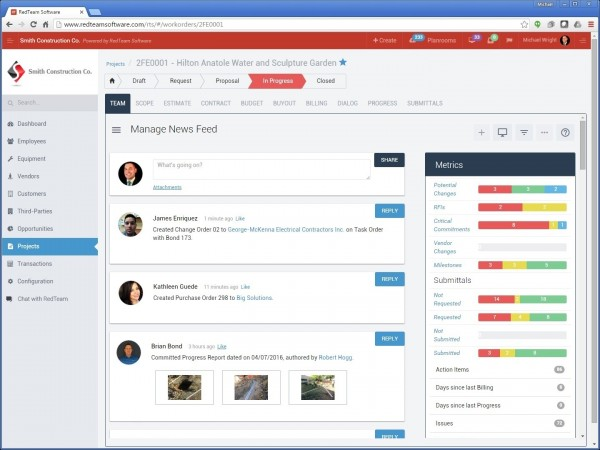 Comments: RedTeam Construction Management Software was designed by a GC and is built to be used by anyone who has construction projects and subcontractors to manage. RedTeam leads users through each critical step of administering any project making sure every component is covered to help the user be completely successful. All of the documents are uber professional looking too! Recommendations to other buyers: Get in, use it, talk with RedTeam's support people and once you understand the functionality, you will know that this is the best solution for the cost of any PM software! Pros: That we can submit all subcontractor, RFI & Submittals in one database rather than 3 as we do now. Cons: All training is online rather than coming to our company. Thank you, we do offer onsite training as a service that you can buy. Clients also can book training sessions at our offices in Orlando. Comments: It is definitely one of the best PM software out there. It is simple to use and the work flow goes much faster. Thank you for sharing your experience with RedTeam. We will make sure to connect and see how we can help you with navigation and provide you best practices to help save you time. There are a lot of shortcuts we would be happy to share with you. Red Team has effectively supported our company growth. Pros: The software enables us to manage an increased load of projects with the same manpower, which has a positive impact in our company's bottom line. RedTeam's versatility allows our company to rapidly adapt to the challenges of the expanding market conditions. We benefit from the software administrators who are willing to provide solutions to our clients' special requirements. Cons: We have expectations about additional modules to be added to the existing software capabilities. The integration of accounting will be very convenient for our operation. Recommendations to other buyers: Relate to any software on terms of productivity for your company. RedTeam has increased productivity and help decrease our risk! Pros: My favorite part about this system is the fact that I can access all of our information anywhere I have an internet connection. We have the ability to manage our projects efficiently and accurately without having to be sitting in the home office. Cons: The fact that it is web-based can occasionally create minor slowdowns in performance. If you have a quick internet connection, everything works great. It is just the nature of a web-based system. Recommendations to other buyers: Spend the time to really dig deep into the system. There are so many features that we didn't know existed until we start using the product on a daily basis. It is a great system, and I highly recommend using it. Great customer service but program needs improvement. Comments: The features of the programs are useful however a lot of the features haven't been fully tested before rolling out and there are many little issues with the program. Customer service was there when I had issues and tried to help when they were able to. The price is very affordable however know that you are not getting a complete working program. Thank you for the review Rafael, the information you've shared is extremely valuable to us. It is true, in June of 2016 when you became a RedTeam customer, we had recently launched 2 new feature upgrades. We have since perfected the use of OCR when uploading drawings into RedTeam. The intuitive development of this feature allows us to read an entire set, split them into separate pages, name the properly and catalog them in our Online Plan Room (which has unlimited storage for every project and user). One of the changes that you specifically asked us to create in our Scheduling Module was to allow users to see the Gantt Schedule in a calendar view, we launched that feature in October 2016. We thank you again for your feedback, that feature has been used by hundreds of our users with great success since you suggested it. Lastly, thank you for the kind words regarding our Customer Service Team, we pride ourselves here on providing the best user experience that we possibly can. Overall: We are brand new to RedTeam and this is the first time we've implemented a system like this. We are still in the early stages of transition but have found it vey navigable and the support has been great. Pros: I like that it creates log for you. I need to get to know the program better. Cons: I haven't experience enough about the program yet. Overall: I am very anxious and excited to get this program up and running. I feel it will make my life as a Project Coordinator a lot easier. I have used a similar one called Constructware and I really liked it. Have hit a few pumps in the road but still getting started with the program. Pros: Everything is done and stored in the same place. Less paperwork to fill out. More professional look to the contracts. Cons: Drawing log doesn't use the correct dates when they name the pages. A lot of explaining to architects b/c they don't use the program. Overall: Every thing that is sent out is more in uniform. Comments: This software has definitely made my job easier. Thank you RedTeam! Pros: What i like most about the product is the ease of use. The training videos make everything very easy. Cons: What i like least is the fact we have to utilize Quickbooks on line. The desktop version of Quickbooks was much easier to use. 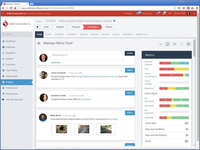 Pros: RedTeam allows all members of our team to access the same information seamlessly. Everyone is looking at the information similarly throughout all of our projects. Everyone is able to see what others are doing on different projects for examples or guidance. Cons: There aren't any accounting features yet. I would love to have a fully integrated product. Recommendations to other buyers: Be flexible! The software has caused us to change some processes to accommodate the system. It has been a challenge, but RedTeam has definitely helped us make our project management processes more organized and structured! Comments: From Orientation to Software Training to their Customer Service process, RedTeam has been On-Point in walking us through the entire process. The training is interactive, informative, and so thorough that it has made the transition from our old software system to RedTeam very smooth and a key reason as to why our entire team has adopted the new system well. I'm most impressed with their response time (which has been stellar) in any questions or issues that have come up with anyone on our team. Thank you to the entire RedTeam Software team for making this an easy transition and a great software for our company to invest in! Pros: Ease of use, the majority of functions and the overall feel. A lot of functions (some we don't need). Adaptable. Cons: Would like more customization based on our company needs instead of the "out-of-the box" feel with a lot of functions we don't need and some that are not part of this system.